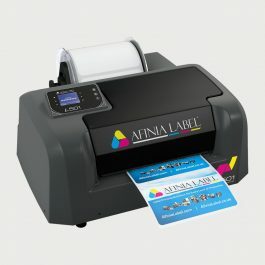 Afinia L801 Color Label Printer – Color Label Solutions, Inc. 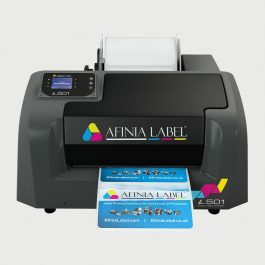 The Afinia L801 Color Label Printer uses Memjet technology to print high-impact, full-color labels. Ideal for short-to-medium print jobs and label sizes greater than 4.25″. Easy to use and compatible with a wide range of label stocks. 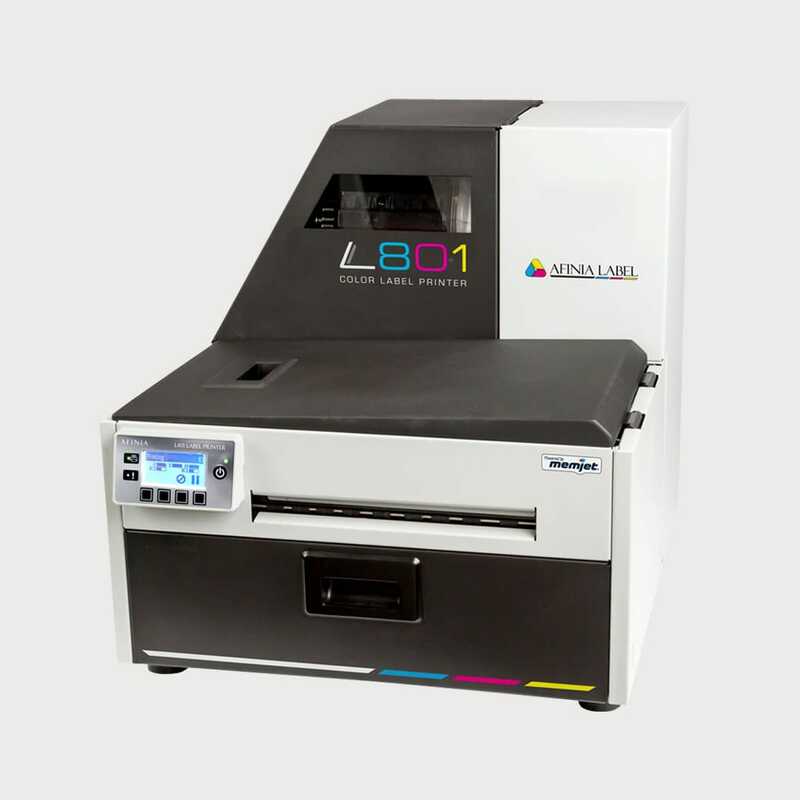 The Afinia L801 Color Label Printer uses Memjet technology to print high-impact, full-color output at up to 60 ft/min at up to 1600 x 1600 resolution. Ink cartridges hold 1.25 liters of ink to support large runs and low ink cost. 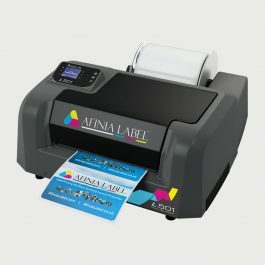 It has an integrated unwinder, supports industry standard label design software and is available with an optional rewinder.